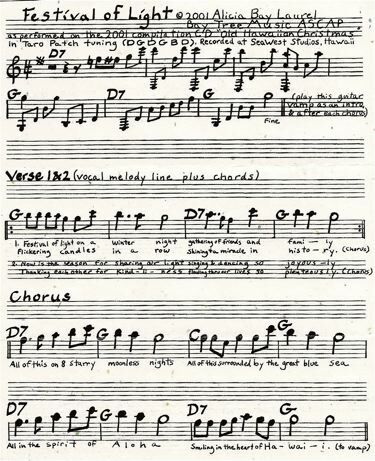 Floozy Tune Places in ANOTHER Songwriting Contest! 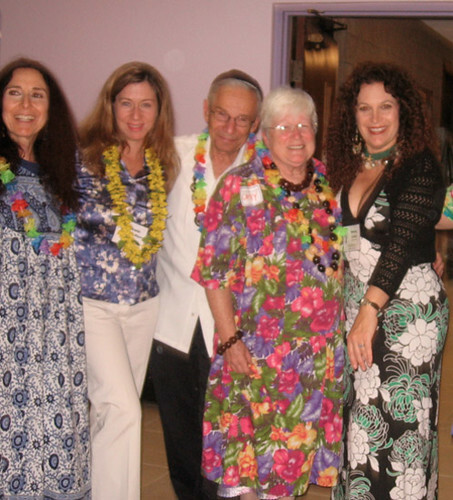 Posted on August 5, 2008 by Alicia Bay Laurel	in Blog, Music and tagged what living's all about. Today “Floozy Tune,” the opening cut on my 3rd CD, What Living’s All About, has placed in yet a SECOND international songwriting contest, as Honorable Mention (7th place) in the World division (which includes jazz), in the Indie International Songwriting Contest. Here’s their profile page on me. Posted on October 7, 2006 by Alicia Bay Laurel	in Music. 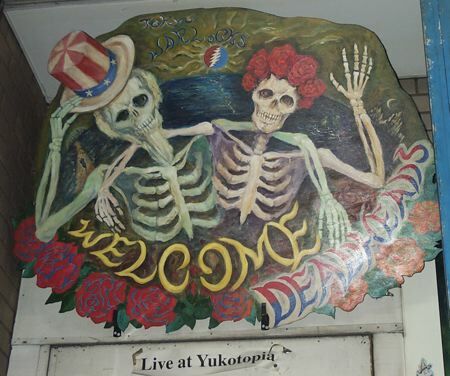 Look for this sign above the door and you know you’re at Yukotopia. 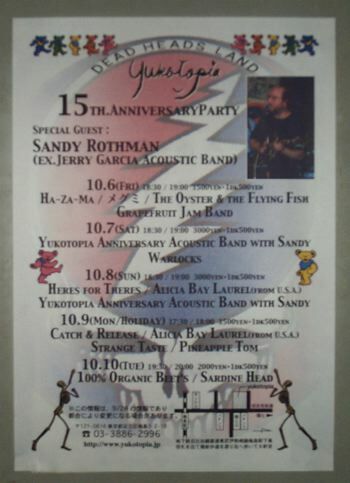 Tonight I visited Yukotopia Dead Heads Land Night Club where its fifteenth anniversary party is in full swing, featuring Sandy Rothman, a masterful multi-instrumental player from Berkeley who had played at the grand opening and the tenth anniversary festivities as well. 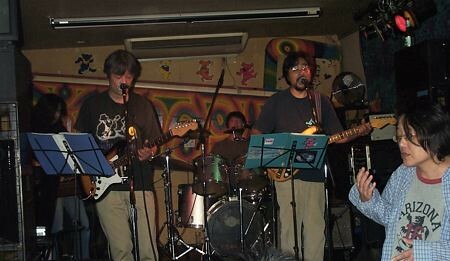 Sandy played in several bands with Jerry Garcia, and sings with the same kind of friendly, slightly sardonic, laid-back delivery for which the Dead are known. The three other players live in Tokyo. Lots of joy emanated from the stage during their sets and the audience loved them, too. 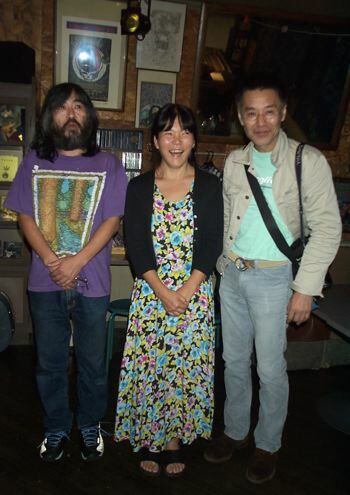 Meet Roku, the sound engineer, Yuko, the club owner, and Masahiko, the official club photographer. 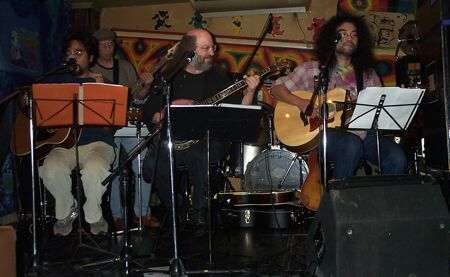 After Sandy and the Anniversary Band played their acoustic sets, the Warlocks played a couple of electric Grateful Dead sets and the audience danced. 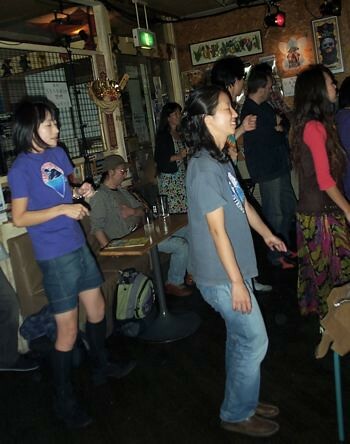 Everyone in the room at least swayed in their seats to the band, but most were full on dancing. 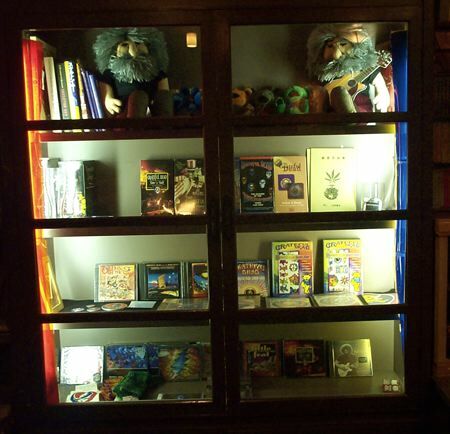 Yuko’s got all kinds of Grateful Dead items for sale—books, DVDs, CDs, Jerry Garcia dolls, tie-dye t-shirts, and posters. 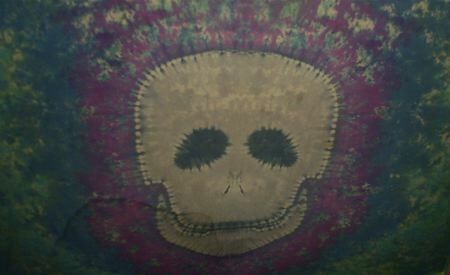 Dead head tie-dye on the ceiling. Poster for this week’s events. 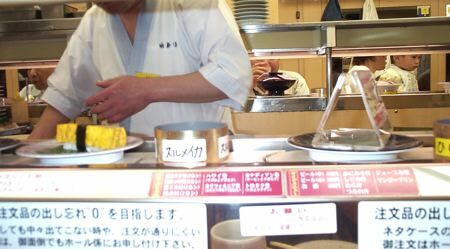 Yuko and I enjoyed our dinner at a sushi diner just down the street from the club, with this cool, super slow conveyer belt that circled three sushi chefs who constantly replenished it with dishes of sushi. Each dish cost $1. Not everything in Tokyo is expensive, it turns out. Posted on September 24, 2006 by Alicia Bay Laurel	in Music. My favorite vocalists of late all sing in romance languages. They are already legends, but if you haven’t heard them yet, get thee to iTunes and check them out. You don’t need to know Spanish, French, Italian or Portuguese, although, if you do, it will no doubt enhance your thrall. From Brazil, dig Rosa Passos (pronounced Hosa Passos), a soprano whose hip, creative phrasing enhances the cool “beach samba” style of Brazilian pop standards. When I first heard her, I realized I’m more accustomed to hearing this music performed in an alto range, and Rosa’s high, vibrato-less voice gives even 1960’s Jobim chestnuts a fresh youthfulness. From Peru, Susana Baca gives voice to an African-American community in a country without Caribbean frontage. Rich with complex rhythms and responsive chorus, Susana’s music takes you right to the emotional and spiritual center of her mysterious and earthy world. 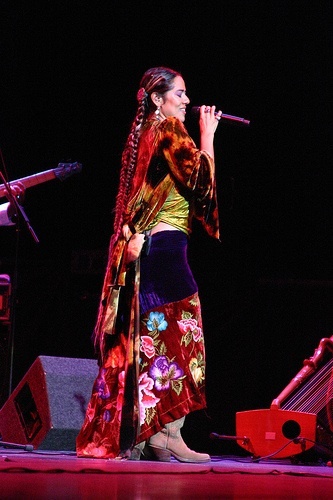 From Mexico and Minnesota, Lila Downs combines a degree in opera singing, a bloodline of the majestic women of the ithmus of Tehuantepec, and a cool New Jersey saxophonist boyfriend to create traditional Mexican music with soaring vocals, hip arrangements, and sometimes political rants. From Mexico, Montreal, and lots of road time in between, Lhasa de Sela grew up traveling with singing parents on a school bus, and began gigging at age 13. In Montreal she partnered with Yves Desrosiers, a monster guitarist and brilliant producer, to create two emotionally urgent yet surreal CDs. From Asti, near the French border of Italy, comes a dapper, older attorney turned singer/songwriter named Paolo Conte. With a gruff voice, fabulous jazz piano chops and eerily retro band arrangements, Conte creates the most gorgeous, profound and hilarious poetry imaginable. Be sure, when you purchase one of his CDs, to get one with English translations of the lyrics in the liner notes.